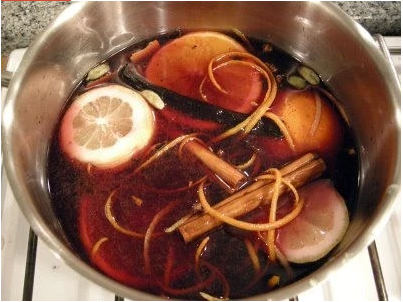 Scooper - Technology News: How much water does it take to make your favourite Christmas meals? How much water does it take to make your favourite Christmas meals? A vast amount of water is used to produce the food we consume. According to the UN , every day we eat between 2,000 and 5,000 litres of ‘virtual’ water embedded in our food. That includes all the water used to grow crops and raise animals. By 2050, the water needed to produce food for the world population could reach 13.5 trillion cubic metres per year – about triple our current water consumption. Globally, agricultural production accounts for more than 90% of our ‘water footprint ’, which is a measure of the total volume of freshwater used across the world. These trends are set against the backdrop of increasing water scarcity globally, which the World Economic Forum’s 2016 Global Risk Report identified as the single biggest risk to global society over the next decade. So, with these statistics in mind, what’s the water footprint of three popular Christmas dinners from around the world? Our numbers are based on this interactive tool and figures from a 2012 report on the water footprint of food. In Denmark, meat is in the foreground, and it’s likely to be pork, duck or goose, served with red cabbage and gravy. This comes to around 12,500 litres of water for a 2-kilogram pork loin joint – which accounts for 12,000 litres alone – 500 grams of cabbage and 1 kilogram of potatoes. The typical British Christmas turkey dinner weighs in at around 15,000 litres of ‘hidden’ water for a family of four. This is for 2 kilograms of turkey meat (figures are based on chicken meat), a kilo of vegetables – usually a mix of carrots, parsnips and Brussels sprouts – a kilo of roast potatoes and 300 grams of ‘pigs in blankets’, which are small pork sausages wrapped in bacon. That’s not counting the ingredients of your Christmas pudding, though. 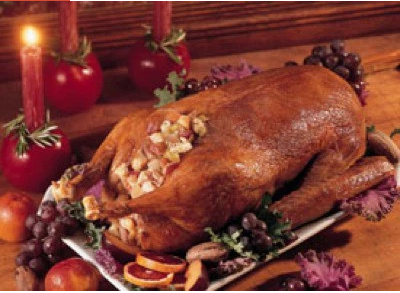 As turkey is also on the festive menu in places like the US, Canada and New Zealand, you can expect similar values for your Christmas meal. Christmas is very meat-based in South America as a whole. 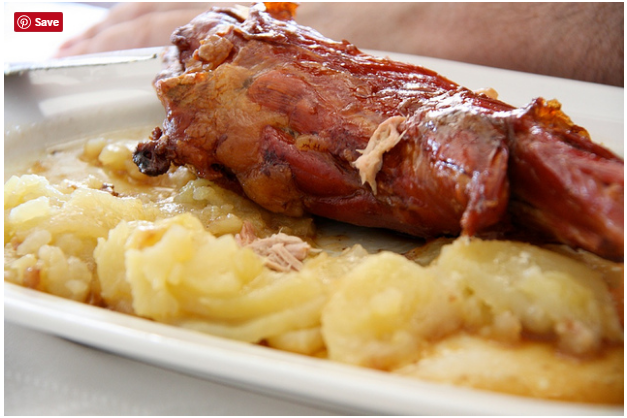 In Argentina, one of the most popular dishes is Cabrito Asado, or roast goat, served with mashed potato puree. For 3 kilos of goat meat, 1 kilogram of potatoes, a litre of milk and 250 grams of butter, the water footprint is around 18,000 litres. Broadly speaking, animal products have a much bigger water footprint than crop products: for beef, it is 20 times more than for cereals and starchy foods. For milk, eggs and chicken, it is 1.5 times larger than for pulses. Therefore, if you want to reduce your food-related water footprint – at Christmas or as a New Year’s resolution – the best route is to eat fewer animal products and more plant-based foods. You may also want to review your favourite tipple: one large glass of wine (250 millilitres) takes 220 litres of water to make; the same size glass of beer ‘costs’ just 74 litres. A cup of coffee requires 260 litres of water, while tea has one of the lowest footprints, at only 30 litres per cup. 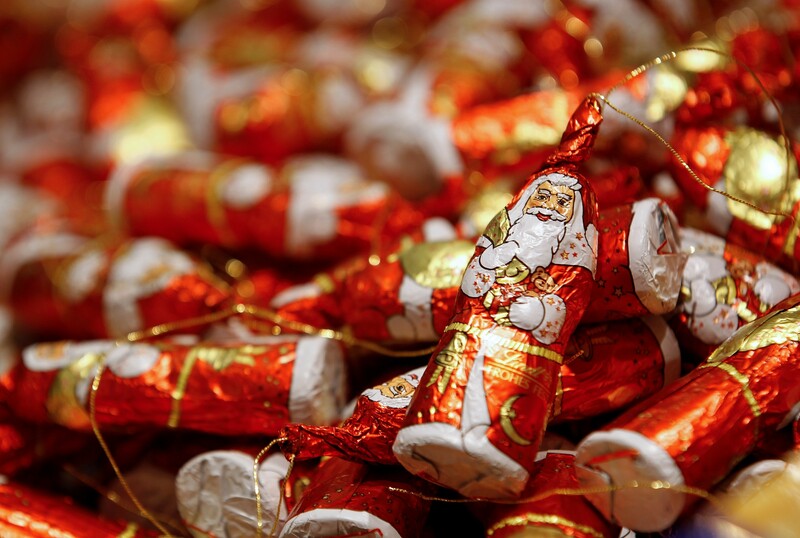 And while it will be hard to resist, especially at this time of year, hold off the chocolate: it has the largest recorded water footprint – 1,700 litres for a 100 gram bar, or a staggering 20,000 litres per kilogramme.